Just over 200 years ago the Olot naturalist Francesc Xavier de Bolòs made known to the scientific community the existence of the volcanic landscapes of La Garrotxa. La Garrotxa volcanic zone is an area of great geological, wildlife and scenic interest, and, despite being a highly humanised region, its inhabitants have over the years ensured the conservation of this natural heritage. However, urban and industrial growth in the 1960s engendered a series of damaging environmental problems including quarrying, construction projects, polluted rivers and a proliferation of illegal rubbish tips that seriously endangered the region’s natural values. 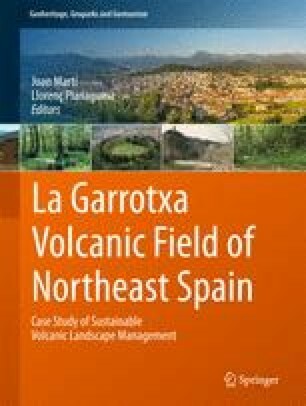 The need to protect La Garrotxa and its volcanoes provoked a series of public demonstrations that prompted the Catalan Parliament to approve in 1982 a law—the first ever passed in Catalonia designed to protect a natural area—aimed at guaranteeing the protection of the county’s landscapes. Its stated objective was to ensure the conservation of the region’s geological, botanical and scenic riches—but not at the expense of the area’s economic development.